Kings XI Punjab defeated Rajasthan Royals by 12 runs in Punjab Cricket Association IS Bindra Mohali stadium on Tuesday. Punjab who batted first posted a competitive total of 182 runs for six. 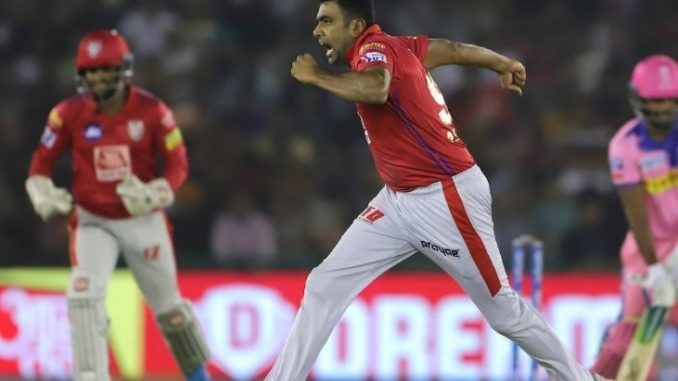 Ravichandran Ashwin scored a quickfire four ball 17 and then later also claimed two crucial wickets, restricting Royals to 170 runs in their allotted 20 overs. The win pushed Punjab to the fourth spot in the IPL points table, until now Punjab won 5 matches claiming 10 points. While batting first, KL Rahul started slow but recovered ending with 52 off 47 balls. He was supported by David Miller, who picked up 40 off 27 balls. The duo shared an 85 run stand to lay the foundation stone. Chris Gayle smashed 30 runs, while Mayank Agarwal grabbed 26 off 12 balls. While chasing the 180 plus target Rajasthan Royals skipper Ajinkya Rahane decided to bat down the order and promoted Rahul Tripathi to open the innings with Jos Buttler. Debutante for KXIP Arshdeep Singh picked a dangerous Buttler on 23. A great partnership was seen building up between Tripathi and Sanju Samson who added 59 for the 3rd wicket keeping RR on track. Ashwin struck, dismissing Samson for 27 in the 12th over. Ajinkya Rahane joined Rahul Tripathi in the middle, however the pair couldn’t cope up to the asking rate. Ashton Turner, who came to replace Steve Smith was dismissed for duck. Rajasthan Royals needed 50 runs off the last 3 overs with Ajinkya Rahane and Jofra Archer at the crease. Rahane was just unable to cope up, soon he became the second victim for Arshdeep Singh. KXIP wrapped up, winning five off the nine games they played so far.